Au Pied de Cochon in Montreal was one of the restaurants I'd always wanted to go to for the foie gras poutine even though I don't like foie gras. 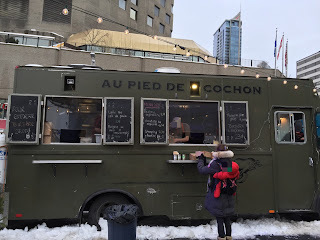 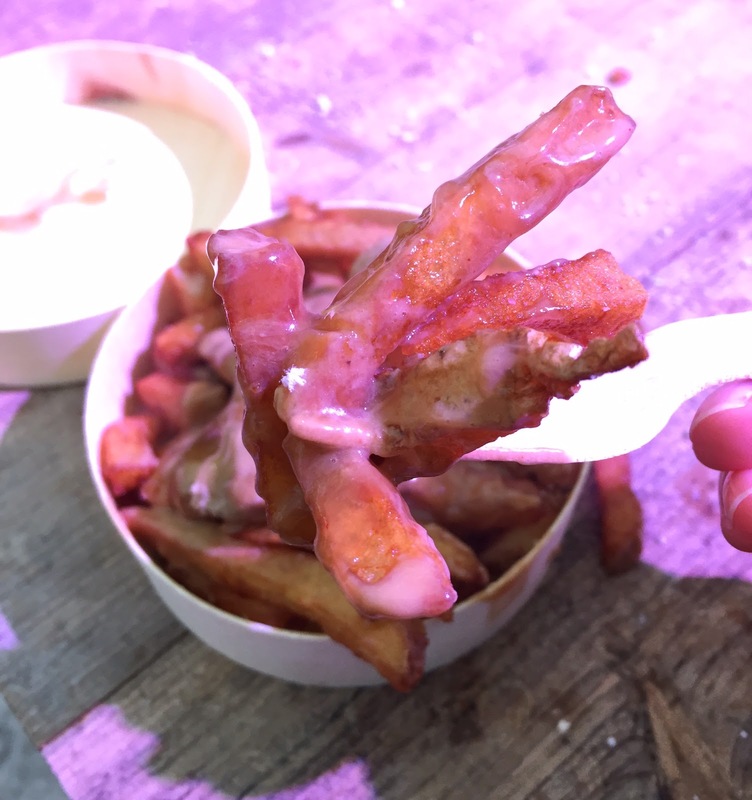 At "Le Grand Marché de Noël de Montréal" at Place des Arts, conveniently there's a Au Pied de Cochon truck and I got to try the famous poutine and even cheaper (for sure the portion was smaller, too). 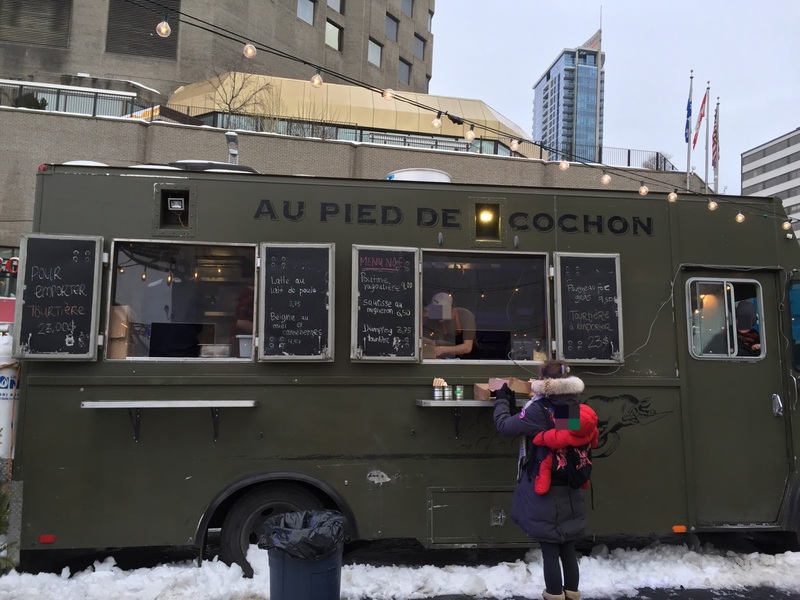 We tried the following shops at the winter market. 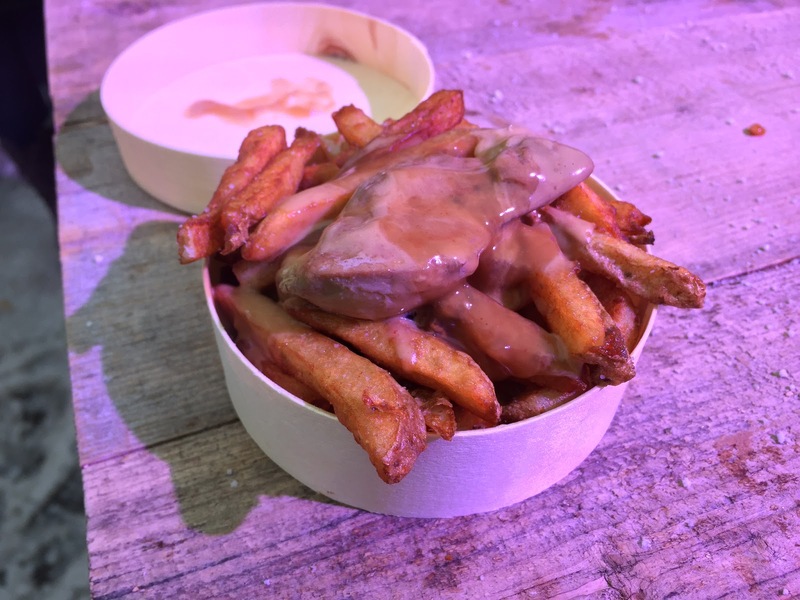 At the restaurant, Foie Gras Poutine is 24 dollars but here, it's 9.50 dollars. 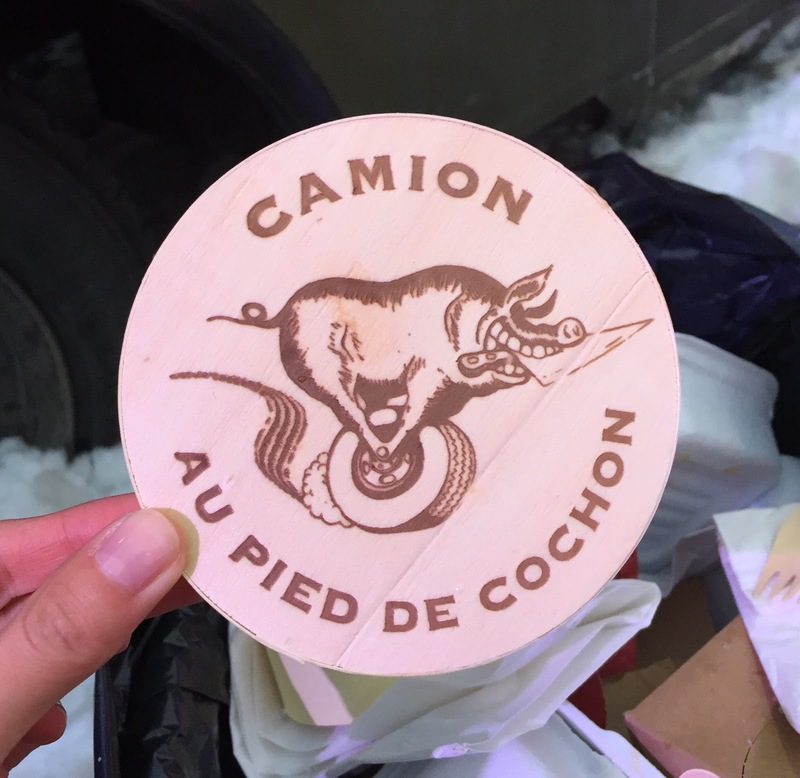 I only got a plain lid but I found this logo-branded version in the trash. 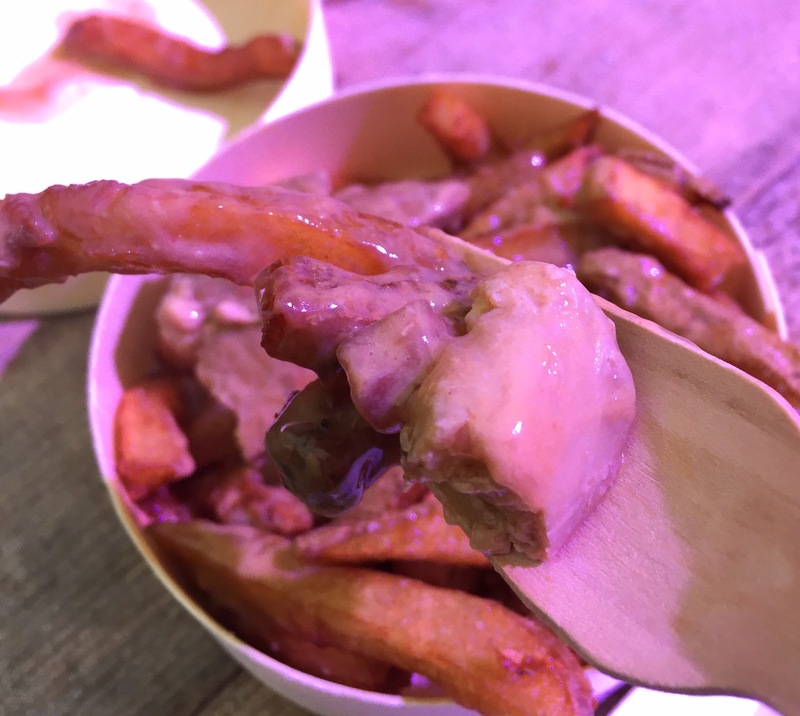 Over the thick and browned fries, there's a piece of foie gras. 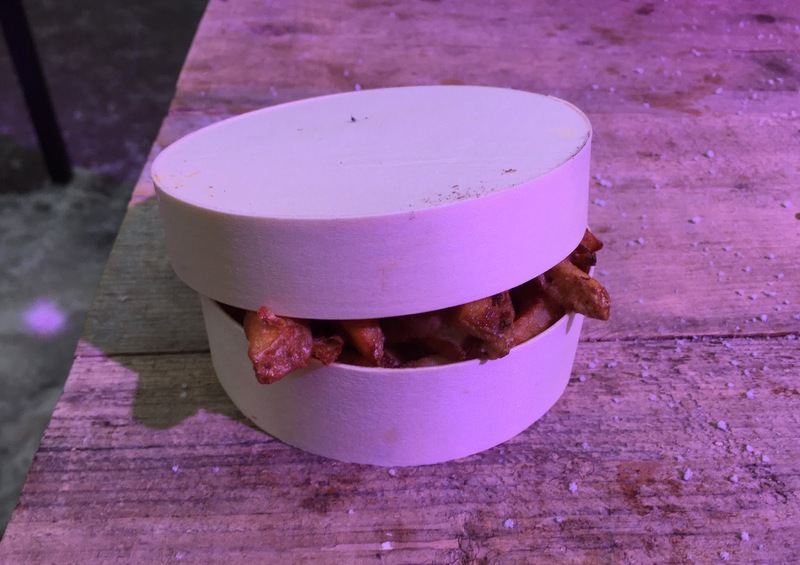 The foie gras was about 8 x 4 x 1.5 cm (3.15 x 1.57 x 0.59 inch). 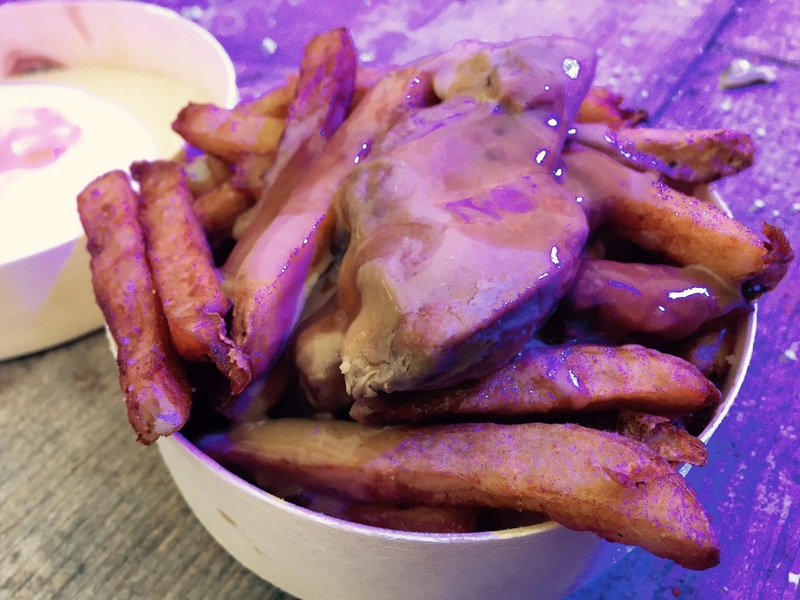 Fries were crispy outside though they're covered with gravy and inside was moist. The cheese curds were at the bottom of the cup, and some had light squeakiness. The foie gras was very rich, had the characteristic flavor, and I didn't like it, which I knew. 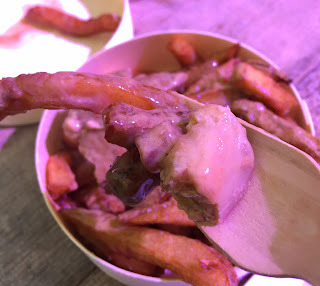 The gravy sauce was salty, rich, and creamy, and it had intense foie gras flavor. 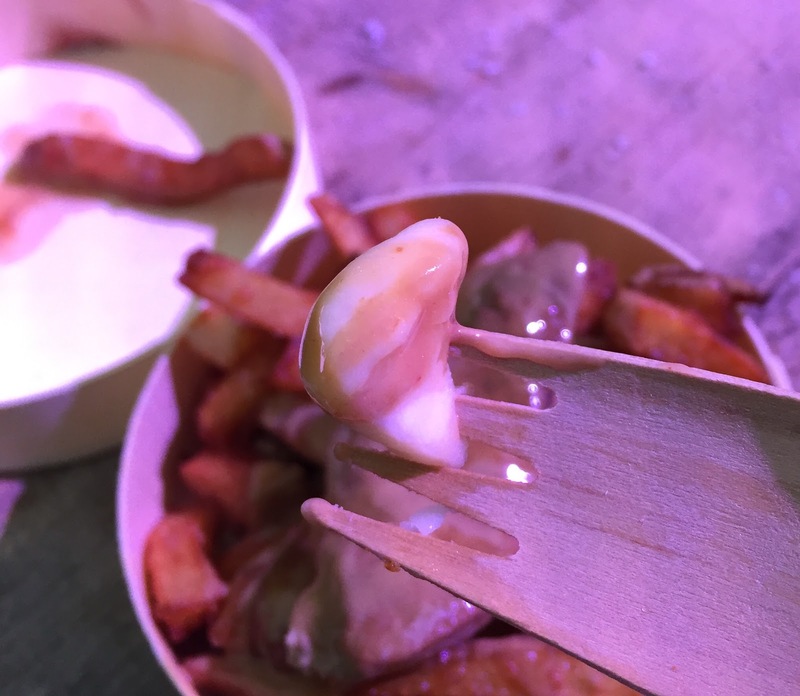 This poutine must be meant for foie gras lovers but not for me.